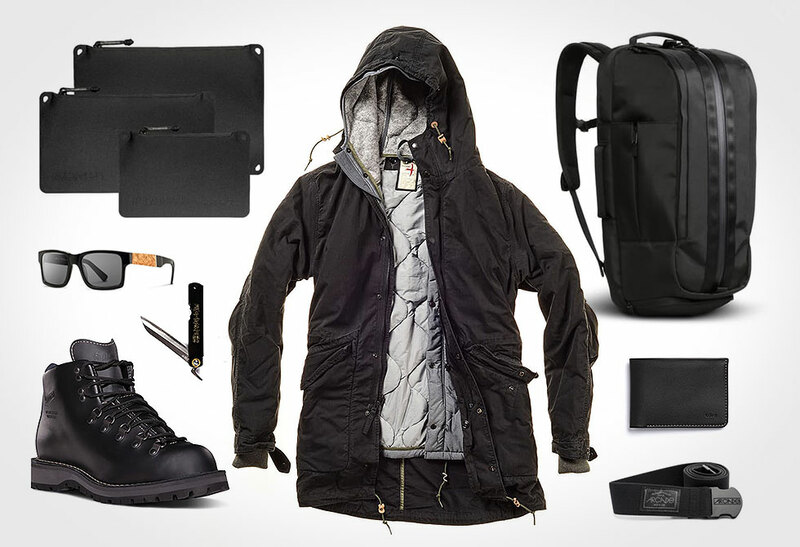 Pour yourself a generous one with the Ultimate Whiskey Glass Collection II. It’s that time of year again where we all deserve a drink or two, so we thought it fitting to put together our second annual whiskey tumbler collection. Ranging from cow horn to soapstone and hand painted hand blown glassware to sophisticated wax dipped accents – each liquor tumbler set is artwork. Sit back and raise your glasses to another great year of exploring, conquering and living in this awesome landscape we call home. 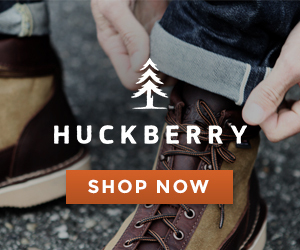 As this year marks the centennial of America’s National Park Service, Huckberry has put together the Whiskey Peaks Rocks Glass Set in honour of the occasion. 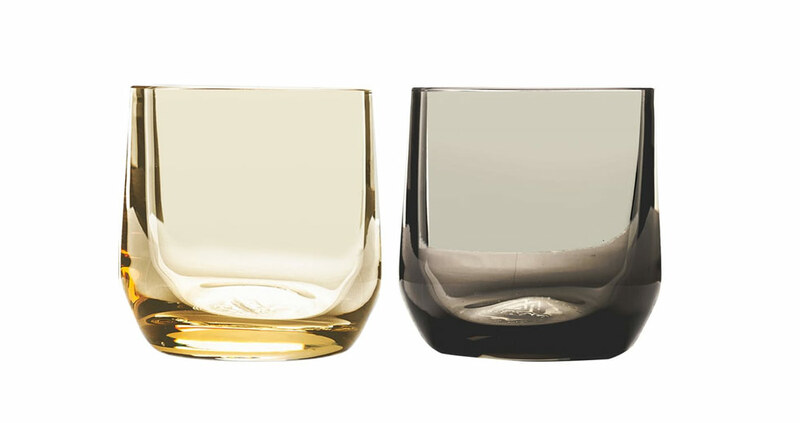 Whiskey Peaks, a handsome set of four hand-blown whiskey glasses made from premium lead-free crystal. 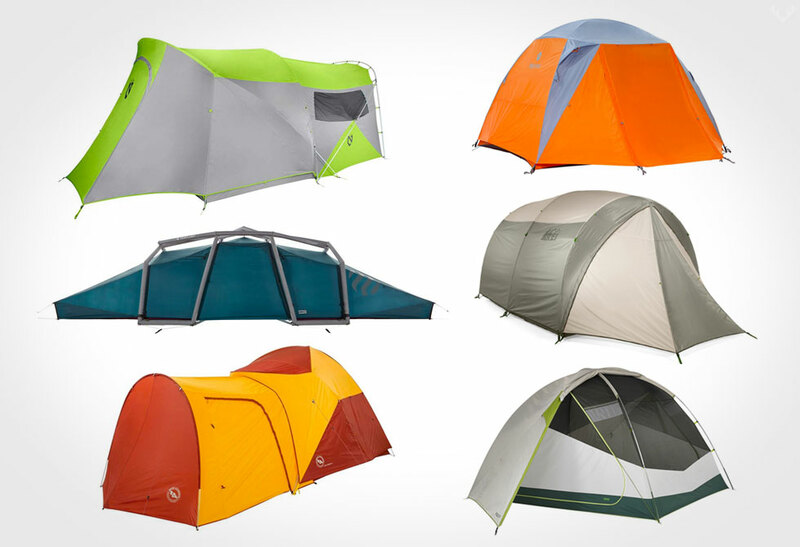 Featuring a raised topographic impression of America’s greatest mountain peaks — Denali, Half Dome, Mt. Rainier, and Mt. Whitney — Whiskey Peaks will keep you inspired and sipping “on the rocks” whenever 5 o’clock calls. 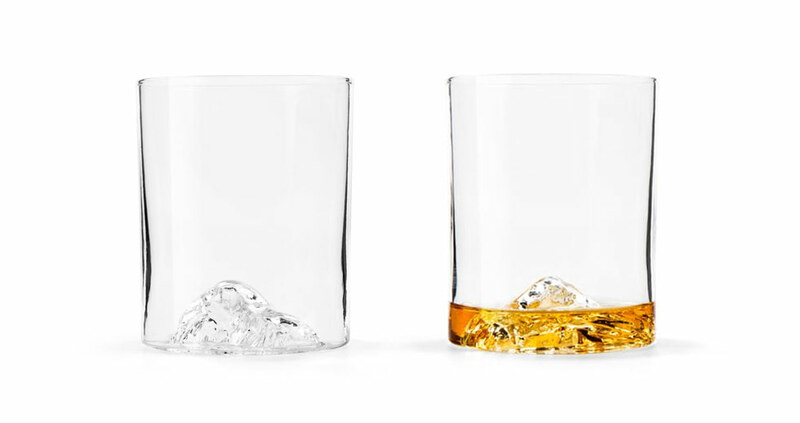 Cut from a single piece of American-sourced soapstone, these glasses will hold temperature much longer than whiskey stones, and even match a whole bunch of ice. 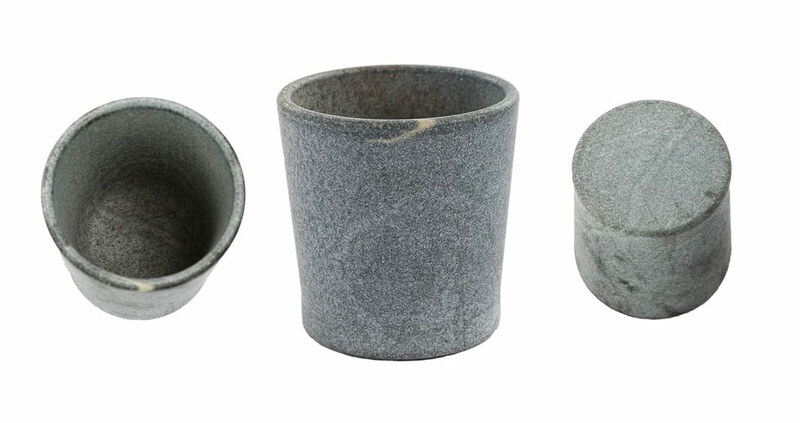 The soapstone whiskey set features a one-of-kind marble coloring, and are dishwasher and microwave safe. 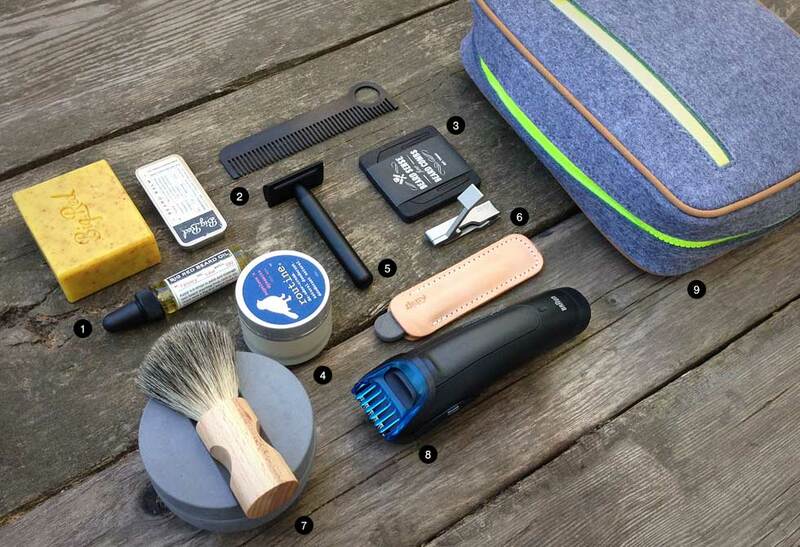 Perfect for that on-the-go guy. Designed for short and neat drinks, Tom Dixon has designed a minimal mid-century modern masterpiece. Hand-painted with copper details, these signature short glasses are mouth-blown and are perfect for short drinks like whiskey and cocktails. 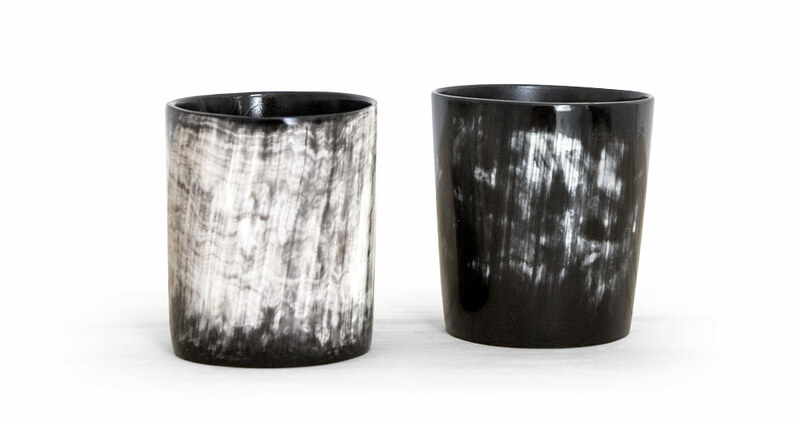 These Ankole horn tumblers are the perfect accompaniment to your favorite single-malt whisky. They were meticulously sanded, polished and then sealed with a food-safe lacquer for a smooth and shiny finish. Sourced ethically as a food by-product, these are made in-house from cow horn artisans at Rose & Fitzgerald’s design-and-craft studio in Kampala, Uganda. 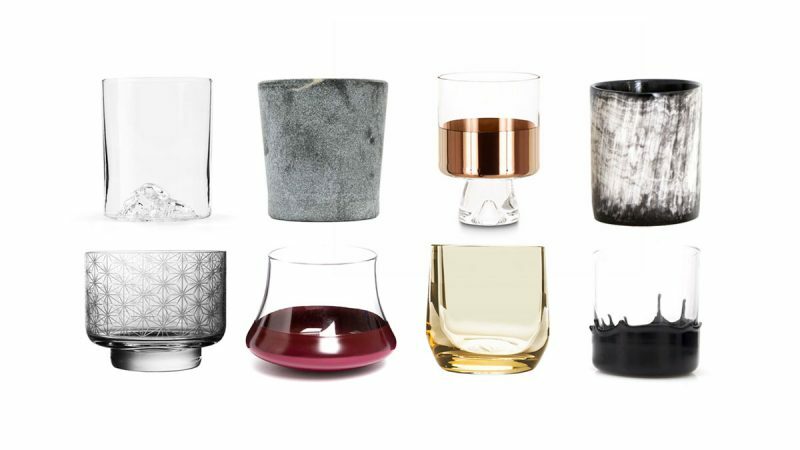 Designer Rony Plesl has created a collection of glassware inspired by class Bohemia patterns updated with etching courtesy of the latest in glassware manufacturing technology. The geometric patterns of the Stellis collection beckon you to hold the glassware in your hand before enjoying your favorite beverage. 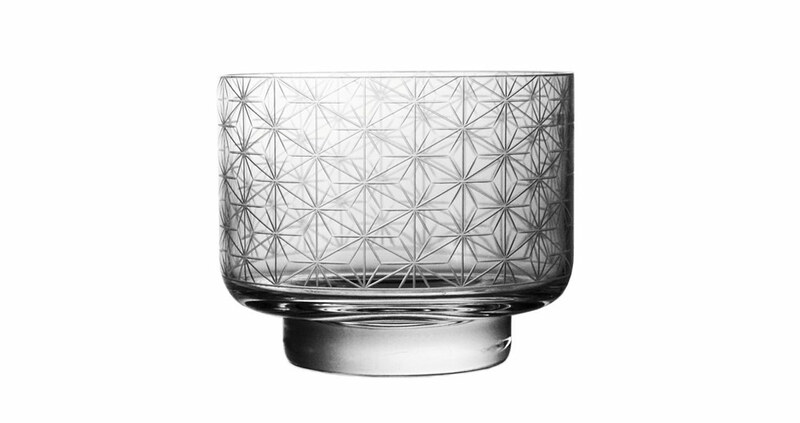 This small glass is the brainchild of designers Setsu & Shinobu Ito. Created for Hands On Design by Japanese manufacturer Maruyoshi Kosaka, the Dondolino is created in the home of traditional Urushi lacquer. Here each glass is crafted with a masterful application of lacquer in age-perfected techniques. Pour, sip, relax, repeat with the Mazama cocktail glass set. 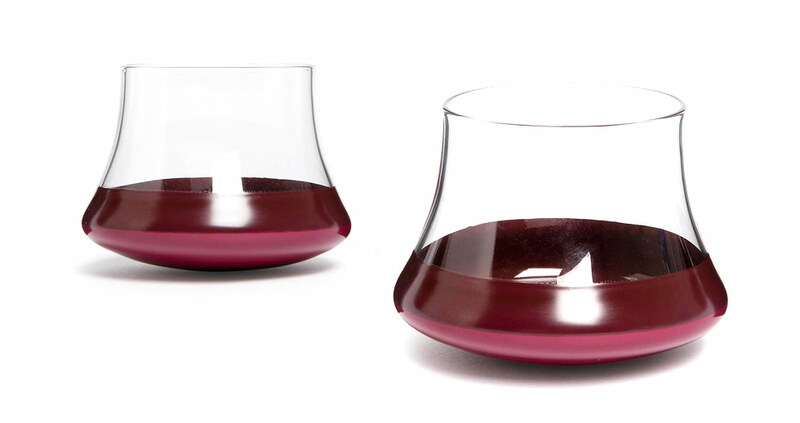 Made in Portland, Oregon, Mazama has produced the perfect elegant sized whiskey glass. Dishwasher safe, each glass is hand-blown giving every piece a natural variation that is, simply put, a gem in the making. A great glass for a great man! 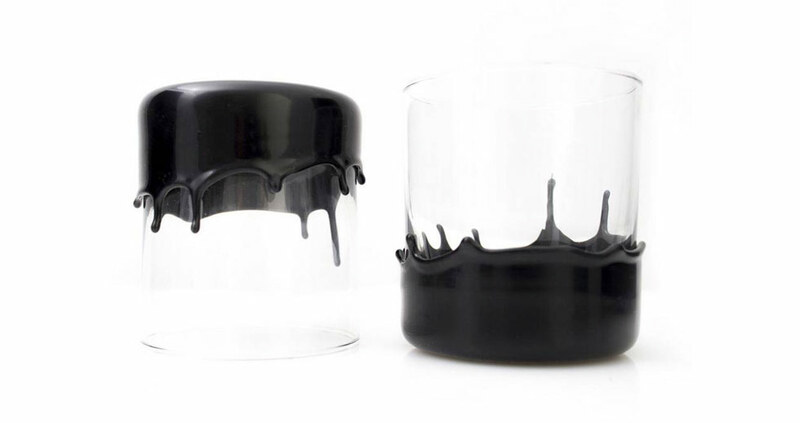 Individually hand-dipped in a black polymer to give a dripping wax look. 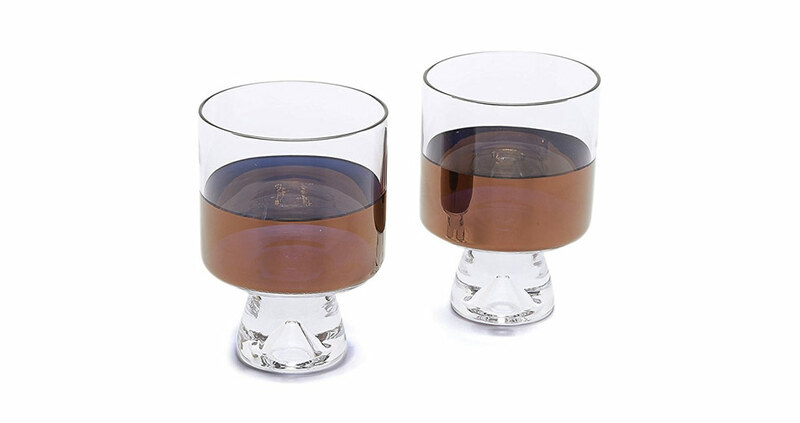 The wax dipped whiskey glass set is carefully crafted in Houston, Texas.